Last year was the year for horror, Matthew McConaughey, James Wan, and great documentaries. the following is my annual list of must-see movies and people to watch in the coming years. Gravity - The most amazing 3-D effects since Avatar. 12 Years a Slave - Pretty heavy stuff but absolutely amazing. Director Steve McQueen has yet to disappoint. Dallas Buyers Club/Mud - McConaughey was also in "Wolf of Wall Street" He has been on fire for the last few years, with "Killer Joe" making my list in 2012. Those romantic comedies are hopefully buried and gone for good. Short Term 12 - A film with heartbreaking authenticity and acting. 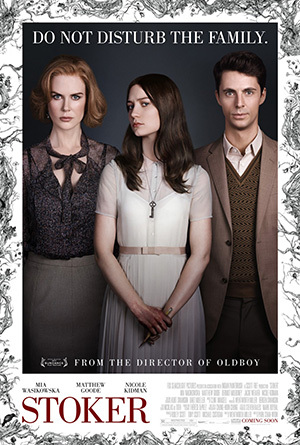 It's a perfect film from begging to end, that never lets up. "You're Next", "Mama", "Sinister", "Evil Dead" (remake), "The Conjuring", "Insidious 2", "Maniac" (remake). All amazing movies. There was the usual bunch of crap, but for the most part, everything was pretty good. Director James Wan directed two of the highest grossing horror films of the year in "The Conjuring" ($137 Million) and "Insidious 2" ($83.5 Million). With both films heading for sequels. and the Saw Franchise under his belt, Wan can seeming do no wrong. Although he has expressed his desire to quit horror and move on to something else (booooo!). 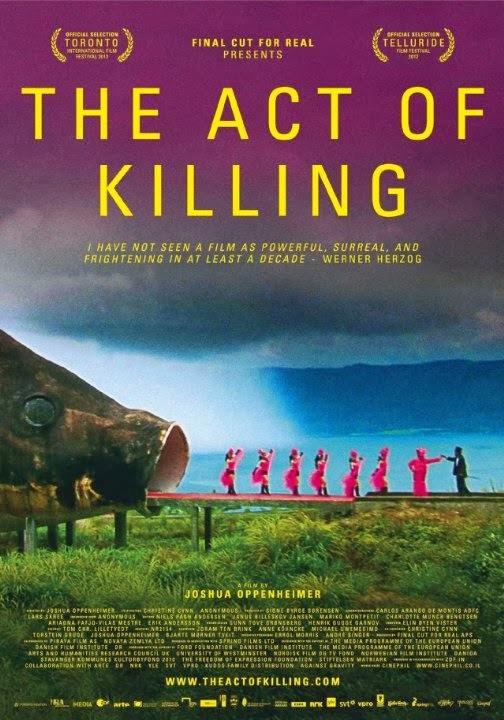 "The Act of Killing", "Blackfish", "Room 237", "Cutie and the Boxer", "The Stories We Tell" lead the list of several amazing documentaries from 2013.